Leonardo da Vinci once said that simplicity is the ultimate form of sophistication. Architect and interior designer Tara Chellani exemplifies this statement beautifully, both in her private and professional lives. 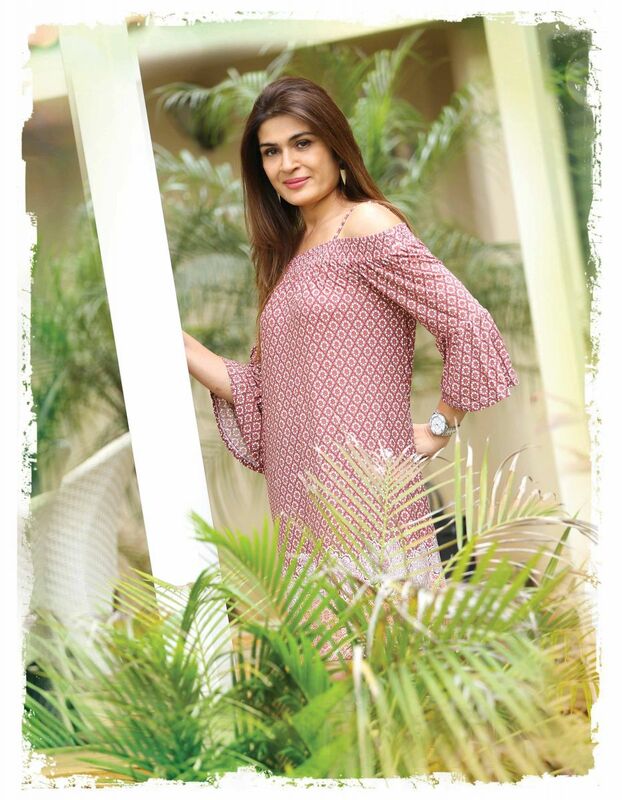 The elegant and sophisticated lady, who is the founder of Studio 3D, has been in the business for the past six years, and is the name behind some of the most beautiful homes in the city. We caught up with Tara in her cozy garden at her office in Banjara Hills. Tell us a bit about how you became an architect and interior designer? I studied architecture in England, after which I came back to India, got married in 1996, and also started working. I began working with Mr Subash Narain, and did so for six years. Then I had my kids, so I took a break in between, and started again six years ago. What types of projects do you typically undertake? I mainly do large residential houses, boutique hotels and some office spaces as well. What are some of the challenges you encounter when you work with large residential houses? People sometimes build huge houses that are great in size, but have no personality. They are merely boxes, so I try to integrate garden space into them, so that even if the space is large, the sense of intimacy is not lost. People often try to compensate for bad architecture by using fancy and over-the-top interiors; I discourage my clients from doing this, and instead focus on adding greenery to their spaces – both outdoor and indoor. What are the key aspects you keep in mind when you start designing someone’s home? It depends on the clients I am working with, because their personality influences how I approach the whole process. The interiors of a home should ideally reflect the people who live in that space. So I have to have an understanding of the people, how they function, and their day-to-day lives. It doesn’t make sense giving them an interior that is completely out of sync with their lifestyle. What is the easiest way to make a space look more beautiful? My favourite trick – if there is the luxury to have garden space – is to knock off the walls and replace them with glass, so that the gardens could be brought into the house through this medium. The minute you start getting green spaces inside the house, it automatically beautifies the whole space. Less is always more, and keeping the space neutral and adding statement pieces would be a more tasteful way to go about decorating one’s home. How would you educate a client who has a lot of money to spend on a home, but no idea about elegance and taste? The best education one can get is with travel. Travel opens up one’s mind to a myriad of different and interesting things. Thus, if the clients are very well off, you can make them travel and show them beautiful interior spaces from around the world like, for instance, homes in the south of France, where effortless elegance is at play. In this way, a client can see that homes don’t have to be loud and scream money for them to be elegant. The more you show them such settings, the more they can understand and visualise things that can open their minds to a host of ideas that otherwise wouldn’t be possible for them to envisage. Do you have a particular style of interior design that is your trademark? Simplicity and subtlety are key elements. I prefer modern styles, but nothing too stark. I would say I am not a very minimalistic type of person; if it’s a home it should feel homely, not like a hotel. Proportion, scale, some element of modernity, simple clean lines and, most importantly, garden space are crucial. What are the qualities that one must look for in an interior decorator? The most important quality would be to find someone who understands your lifestyle very well. Someone who is sympathetic and doesn’t force his or her views down your throat, and someone who comprehends your style of living. How do you combine a client’s need for both vaastu and aesthetics, to produce a good final result? Vaastu certainly limits an architect or interior designer’s ability to work with utmost flexibility and freedom. We have to be even more creative and work around it, and make things more interesting.